There’s nothing quite like the disappointment of feeling like it’s Friday only to remember that, actually, you still have another entire day to go before the weekend. Repeat every 2-3 hours and you have my day yesterday. But now, finally, it really is Friday. Hurrah! How about some letters? Dear godson. So, you’re a big 5 years old already! Glad you liked your present (I gave you a marble run because I secretly want one for myself). Dear weather. Umm, you know it’s supposed to be late summer, right? You’ll have plenty of time for your cold and wind and rain over the next few months so could you at least try to let us down gently please? Dear rainbow I saw last night. You were beautiful – the biggest (width-wise) and brightest I have ever seen. It’s just a shame you had already disappeared by the time I ran inside and grabbed my camera. Dear scales. Well, at least the number you’re showing my now is back to my previous highest-ever weight from before the holiday completely threw everything out the window. You seem to have stalled again now though. Let’s see some downward movement next week, okay? That’s all folks. Much love to all who are reading. Have a great weekend. It’s the last Friday of April today! How?! Why?! Surely it hasn’t really been an entire month since we flew back from New Zealand?! This week has been looong. I spent all of Wednesday being convinced it was Friday. Clearly it was not! It really is now though, which means it’s time for some letters! 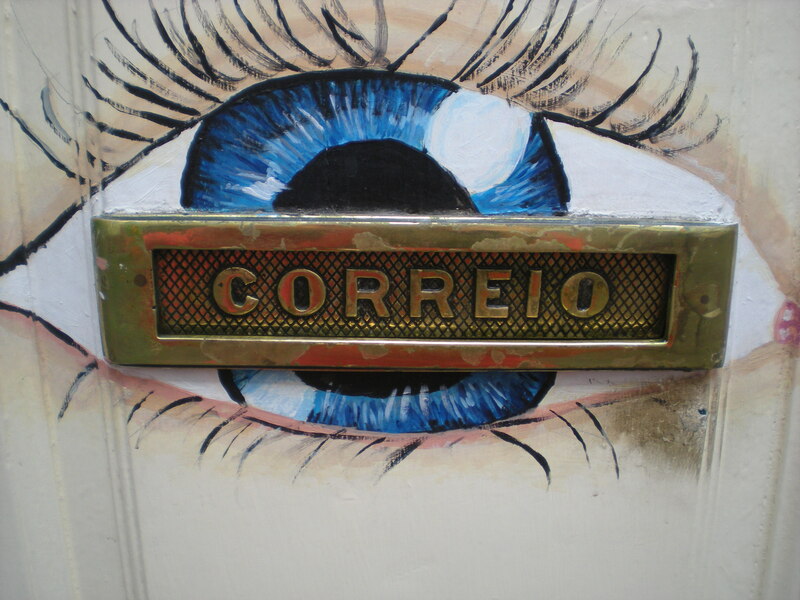 Dear postman. If you have something you want me to sign for, here’s how it works: you ring the bell, I answer, you speak! I am not coming down unless you tell me who you are and what you want! Dear weather. Cycling between sleet and bright sunshine every half hour is just weird, even for April! Dear godson. Your mammy keeps posting photos of you on Facebook and I’ve decided you’re getting far too big. It’s going to be ages before I can see you again so I’m going to need you to stop growing up now, okay? Dear cross stitch. I have lots of ideas right now! I just wish I had the time to implement them. Happy Friday everyone! I hope you have an amazing weekend. I can’t believe it’s Friday again! It simultaneously seems like I was only just getting ready to go and see the Lion King Musical and like that happened weeks ago. What is going on with my perception of time? Anyway, it’s been a few weeks since my last Friday letters so I thought I’d jump back on the bandwagon. Dear godson. How are you turning three on Sunday?! Haven’t you only just been born?! I hope you have a fabulous birthday, anyway. Dear England. Our flights are booked so we will see you soooooon! (By “soon” I mean 19 days. Not that I’m counting down to my holiday or anything…). Dear flat. Every one of your rooms now has a proper light (as opposed to just a lamp) Admittedly the one in the corridor isn’t very good, but that’s just details 😉 Only a few more items of furniture to buy and we’re done (for now)! Dear “What am I stitching?” fans. I’ve already taken the first picture so get your guessing heads on – the post will be going up this weekend. Right, that’s all from me. Have a great weekend everyone! 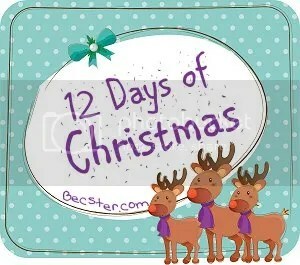 Rebecca over at Becster.com is doing a 12 Days of Christmas linkup, with a different theme every two days. I won’t be taking part every time (I don’t even have anything to say for some of the topics! ), but I thought I might join in a couple of times. What you see here is part of my godson’s Christmas present (Lego Duplo! ), gifts for various other friends’ children, part of my sister’s Christmas gift and some Lebkuchen that’s going to a friend. The book is for my sister as well, but for her birthday which is right after Christ,as. The drawer behind the pile is also full of gifts – these ones are currently living on the floor because the drawer is full! I’m hoping to get two more packages sent off this week, then I just have to work out what to get for the awkward people in my life (I swear my dad’s girlfriend is the most difficult person to buy for on the planet!). I think I can be forgiven for being a little complainy/stressed, don’t you? If you want to join in with the link up, click the button below. For my sister’s new home card, I choose a bird house design that had appeared in a collection of “spring stitches” in one of my magazines. Not very imaginative (is it just me or do loads of new home cards feature bird houses? ), but cute. Unfortunately, I don’t seem to have taken a photo of it… and if I did it’s gone now! In my attempt to figure out why there was no photo of this card anywhere, I managed to accidently delete all the folders on my camera’s memory card… 2 days before I was due to fly to Taiwan!! When a friend moved home a few weeks later, it occurred to me that a beehive would also make an excellent theme for a new home card! I knew I’d seen bees somewhere in one of my magazines, so I went on a search through some back issues, and was soon rewarded. This little beehive is actually part of a larger sampler that I don’t like very much – too old fashioned for my tastes! But this little picture alone is cute, and the perfect size for a card! In June, a penpal in Germany gave birth to a baby girl. I knew she was having a girl in advance, so I stitched most of the card then spent the rest of the month waiting to find out the name. A birth announcement card was waiting for me when I returned from Vienna, so I was able to quickly finish the card and get it sent off along with the gift I had bought. I’ve blurred out the name on the photo because I don’t like to share the names of other people’s babies on my blog… even if there is zero chance of you ever working out who she is! And that’s what I’ve been stitching for other people this summer. I also mentioned in my latest photo an hour post that I’m working on something for my kitchen. I still have one more thing to stitch for that (I have a frame with four gaps), then all four little pictures will be up on the blog, so look out for that!